Supporters bus leaving times, and contact information for RSC's across the globe. 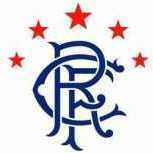 RangersMedia take NO responsibility for the sale of tickets within this forum. Members are advised to be vigilant with regards to handing over money for purchases. Post your coupons, tips, offers, boasts, etc. Where classic RM threads end up.